Young owners Bryan and Naomi Sykes are on the verge of a very exciting ride with juvenile sprinter Jebrynah. The siblings are just 22 and 20 years of age, they have been brought up with greyhounds around them all of their life. Generations of family have carried a passion for the breed and it is now that may have found their most promising pup yet. On Thursday night Jebrynah claimed his 10th win from just 14 career starts, in some of those defeating some of sports more high profile sprinters. “It’s the result of a lifetime’s work for the family. We bred him and we bred his mother (Jebrynah Glory),” explained Bryan. Like many stars of the sport, Jebrynah showed a high level of talent from a young age. He is trained by Rocky Crisafi who has been a long time friend of the Sykes family. 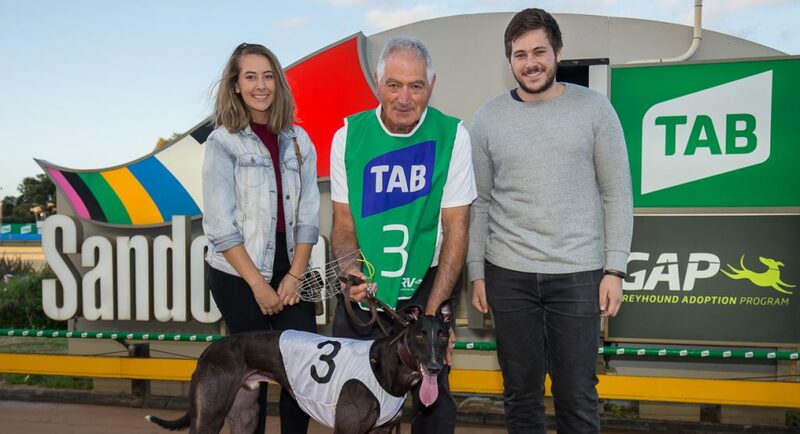 In the race prior to Jebrynah’s win Lagoon Rhett continued his run of great form for Terry Reid – click here for full story. Later on in the night Apex Within was faultless when he defeated a strong field for Rod Cark – click here for full story. This boy has a lot of good things going for him!